During a guerrilla war, revolution, or rebellion, the people have their own secret government with their own leaders, the creation and enforcement of their own laws and rules, etc. Perhaps a system of taxes to support the war effort. The creation of a "Shadow Government", which is a secret continuity of the government, in case of a national crisis. Certain government facilities are disguised as regular office buildings, farms, hidden underground, etc. During a national crisis, farm workers are ordered to continue food production. The use of look alikes or body doubles for important leaders. The leadership keeps daily schedule and travel routes a secret. Only a few essential personnel are to know. Certain departments budgets, such as the Army or Intelligence, are to be kept secret. Create the equivalent of the Civilian Marksmanship Program. Encourages citizens to undergo marksmanship training. Possibly create a "Neighborhood Sniper" program with a sniper, or trained marksman, assigned to every neighborhood. Civilians may be trained in marksmanship, but weapons will not be issued to them until time of war or crisis. Nearly the entire military could train and operate in secrecy like a guerrilla army. Train in secret at secret facilities. Military bases and positions disguised and kept secret. Wear military uniforms only during conflict, parades, or ceremonies. Wear civilian clothes most of the time. If a large and powerful enemy attacks that the military has no chance of beating conventionally, the forces are to go underground and initiate a guerrilla war. If the enemy is not that powerful and the military is capable of defeating them in a conventional manner, they can wear proper military uniforms and engage the enemy directly. Secret military base arranged like a small town or upscale gated housing community. Fenced off with security. Seen and unseen guards. Cameras. Full of government run front companies. Housing area or apartments (barracks). The business district of the town is further in along main street of what would be a downtown area. A more secretive, protected area. Front or shell companies are owned and operated by the government or the organization. Examples can include U.S. front companies operated by the CIA such as Air America. Front companies can import or make dual use equipment as well for military or civilian purposes. Civilian security guard company- Protect secret government installations disguised as civilian installations. "Not hiring at this time" or "No positions open" to civilians who inquire about employment. Civilian airports. The airliners themselves may be owned by the government. Civilian automobile club or "Auto Repair Shop"- Design and build modified civilian vehicles like box truck multiple rocket launchers, mobile sniper platforms, armored civilian cars, etc. War games club- Study strategy and tactics. Build dioramas or sand tables. Could be used to train officers. Course and course materials outlined. May be part of the "Hobby Shop". Model rockets club- Build and test military rockets and missiles. Used for experimenting with improvised and indigenous made rockets and missiles. Engineers and scientists pretend to be civilian hobbyist. May be part of the "Hobby Shop". Radio controlled car, boat and plane clubs- Build and test unmanned aerial vehicles (UAV), unmanned ground vehicles (UGV), and unmanned surface vehicles (USV). May be part of the "Hobby Shop". Model building club- Build models of newly proposed weapons and vehicles. Perhaps build dioramas or sandtables for the "War Games Club". May be part of the "Hobby Shop". HAM radio club- Send and receive secret coded communications. Training or real unit. Athletic clubs (martial arts, football clubs) used to train soldiers or agents. Football clubs could be used to encourage nationalism or patriotism. Civilian Airliner- Actually owned and ran by the government. Operates similar to Air America. Smuggles supplies, weapons, equipment, and people. Some cargo planes can be converted to gunships or bombers to give air support for secret operations. Gunships can be equipped with M134 minigun or similar type of minigun in imitation of the miniguns on the AC-47 or the 20mm Vulcan guns on the AC-130 gunship. Flying club- Secret air wing. Utilize small aircraft. Used to smuggle or transport personnel. Secret light attack aircraft. Boating clubs- Used to smuggle weapons and people or patrol territory. Civilian construction companies- Used to build secret facilities connected to the government. Civilian mining company- Purchases explosives from another nation or makes explosives. Perhaps works with the construction company to build tunnels and bunkers. Civilian demolitions company- Same. Purchases explosives from another nation or makes explosives. Civilian fishermen can be used as intelligence gathering or patrol vessels (fishing boats equipped with civilian or military grade radar and sonar. Communications equipment and visual spotting equipment, etc.) This can also be done by a "Yachting Club" or "Boating Club". These fronts can also be used to smuggle weapons and people. Shipping company- Brings in weapons and equipment. Perhaps even people. All orders and transactions with other nations, groups or parties are always kept secret. 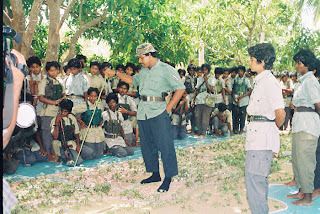 Some type of Youth organization can be used to train the youth and prepare them for the military. Some recruiting can be done directly from the youth organizations. Young "Pioneers" or "Scouts". Fertilizer company- Produces ammonia nitrate for fertilizers and explosives. Moving company- With box trucks. Some are real for additional cover. Most have multiple rocket launchers or anti-aircraft guns hidden inside. Some can have small armored vehicles inside. A large sized "Hardware Store" can sell pipes, electrical wires, tools, chemicals, etc. A museum or "Historical Society" can be equipped with operational armored vehicles, aircraft, guns, etc. May be on public display during peace time, but re-activated during a conflict. Secret stores of ammunition are kept for the tanks, aircraft, cannons, etc. in the museum. The weapons will be kept ready to go into battle at all times. The printing or minting of currency. Appoint Ambassadors or Representatives to other nations or organizations. Members of JAAMI review plans on tabletop. During a conflict, the military should have clearly defined political objectives. Military force alone is not a means to an end. The military strength of a nation or organization should be kept secret. A secret military headquarters can be made for an unconventional army. If the headquarters is in a rural area it must be well hidden and camouflaged. A secret headquarters located underground or in a cave are examples. If the headquarters is in an urban area it should be in a building, house, etc. It can even be in the basement or cellar of the house. It can be on a hidden level under the basement or cellar or a secret area of the building, accessed only by a secret door, crawl space in between walls, etc. In any situation though, an escape route with secret exits, trap doors, etc. should be made. Backup generators, either gas powered or bicycle (dynamo) powered. Flashlights, lamps, candles, etc can also be used for light. War plans against all potential enemies and contingencies are drawn up in advance and modified when necessary. Maps and satellite photos of enemy ports, harbors, oil rigs, oil pipelines, airbases, airports, cities, military bases, etc. are gathered from all the intelligence networks. An operations room or "War Room" can be made, to organize and keep track of all the latest developments. 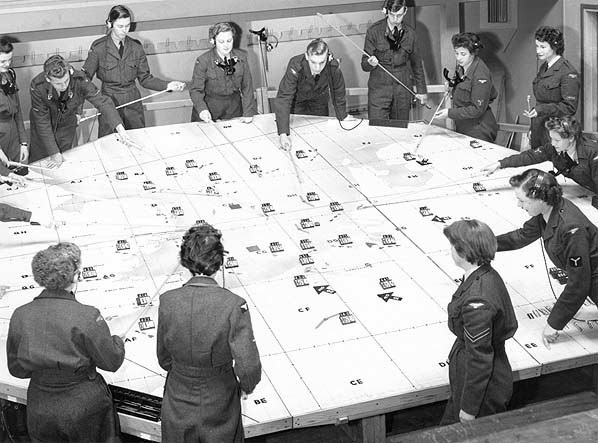 Enemy positions, based upon accurate intelligence, can be plotted. 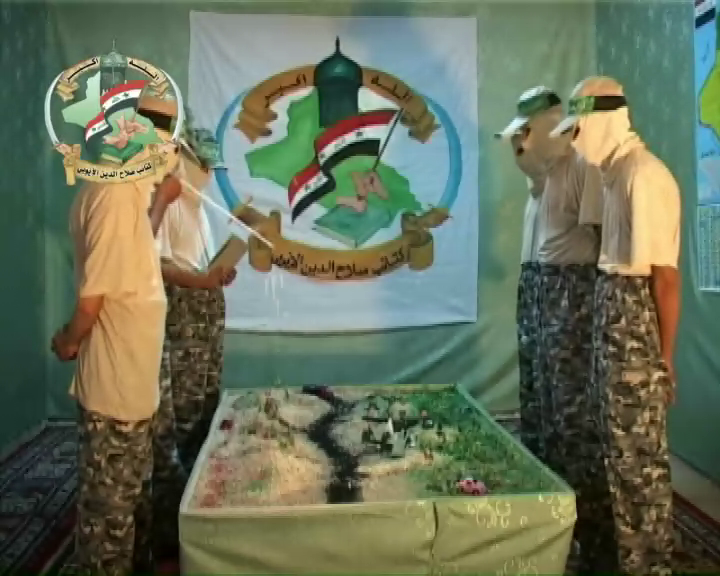 Use of a so called "plotting table" or "sand table". A world map can be hidden on the backside of a large painting or picture. 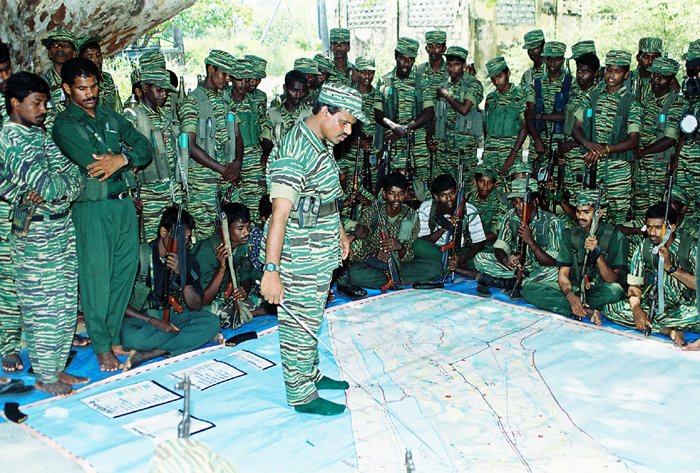 A daily intelligence briefing is given to commanders. The summary of the previous days activities are printed the night before. The intelligence summary includes unsubstantiated reports. Files and printed data can be kept and maintained in secret. This data can only be viewed on a so-called “need to know” basis by those with the proper clearance. All drawers and filing cabinets are to be locked at all times. Papers that are to be thrown away are to be shredded and burned. Preparations should be made to destroy these files in case the base is overrun. Metal containers and lighters, matches, etc. should be on hand in case this situation arises. Fire extinguishers should also be on stand by in case of any accident. Certain data is to be committed to memory and not to be written down or recorded under any circumstances. From the original Headquarters, command posts and “bases” of operation can be established throughout the country. Secret bases and training camps can be established inside the country or in another country. The government of this other nation or nations may be friendly and sympathetic to the cause, or they may not be. In this case, the nation in question should be unaware of the secret bases and training facilities. Military facilities are dispersed and decentralized. 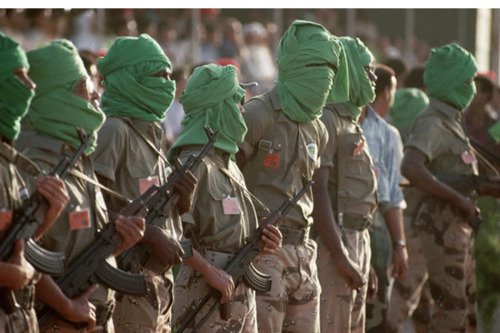 The whole military is recruited in secret like a guerrilla army, resistance cell, mafia or street gang. Those who have special skills and/or express an interest in violence, fighting, warfare, or are courageous may be candidates for recruiting. All fighters should have “heart” or fighting spirit. Loners and those who are very quiet often make good killers. The recruiters should observe these qualities. Young recruits are easier to train and indoctrinate. They usually express an interest in wanting to belong. Young recruits are also easier to vouch for than older recruits. There are no recruiting offices. The recruit must show interest in the organization and movement as a whole. Anyone joining must be vouched for and undergo a background check. The recruit may also be spied upon by the intelligence agency. The recruits are searched and checked for wires, bugs, listening devices, etc. The recruits are taken to a secret training facility where their indoctrination begins. The recruit may be taken to the training facility in a vehicle such as a van with blacked out windows, or may be blind folded so that they cannot see the location or route to the facility. The vehicle may be driven around for hours so the recruit cannot gauge the actual distance to the camp. The recruit’s personal belongings may be searched at any time, and the new recruit may still be followed and monitored for a while. Female recruiters are effective and have the ability to shame and goad young males into committing themselves to the cause. Young men are primarily recruited for military service. Specialist such as scientists, engineers, pilots, etc. should be recruited. Recruiters can frequent colleges, universities, training schools, etc. for potential recruits in specialized areas. Women, children, and the elderly are recruited for support roles. Establish indoctrination program. In addition to basic training, military recruits are given a two week "study" or indoctrination course. The establishment of secret military academies to train officers of the Army, Navy, and Air Force. 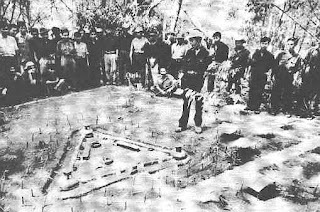 Guerrillas can be trained in a classroom in certain things such as military history, military strategy and tactics, ambushes, meteorology, the disassembling and reassembling of weapons, etc. Field training or hands on training such as the practicing of ambushes, marksmanship, etc. can be done at a different location. If the military force is smaller than guerrilla band size, individuals can be trained in a classroom setting. The Use of Mercenaries or "Contractors"
Hessian mercenaries used by the British to suppress rebellions in colonial America and the north of Ireland. Pan African Islamic Legion once used by Libya under Qaddafi. Hypocritical western nations who employ mercenaries and call them "contractors" or "contract security" forces, even when the mercenaries fight in foreign nations. When non-imperialist nations employ them, they are called mercenaries by the west and considered illegal.